KitzSki offers every skier a variety of fantastic ski runs and we would now like to show you our best five. Beginning with the Streif – the world’s most famous downhill run. The Brunn and Pengelstein ski runs offer many choices – there is something for everyone. KitzSki Extended provides endless skiing fun and Wagstätt/Wurz is our insider’s tip for anyone skiing for fun. It’s hard to describe how diverse and large our ski area is – which is why we believe you need to come and “experience” it for yourself. Long ski runs wide enough to please keen carvers and with undulating terrain for low-level “flying” such as at beautiful Pengelstein are without question part of any premium ski resort’s calling card. 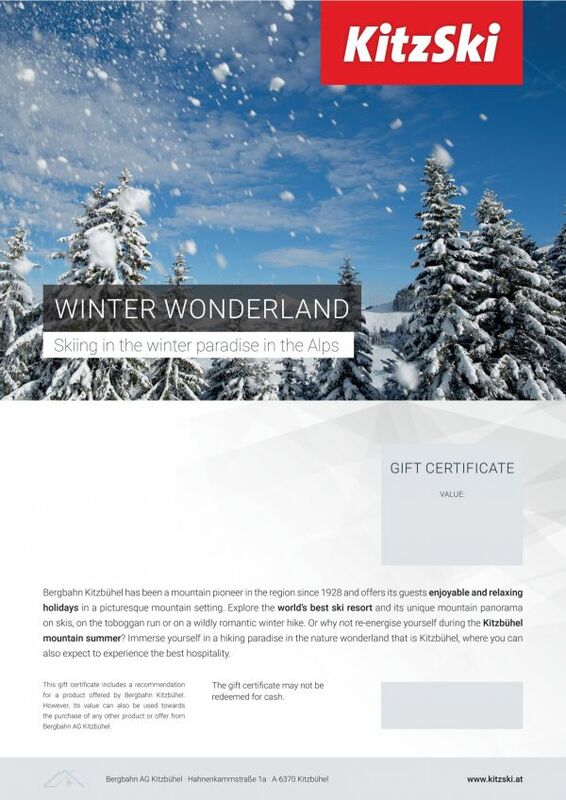 The gently sloping pasture land that is a feature of the grass-covered mountains in the heart of the stunning Kitzbühel Alps provides a simply irresistible invitation to also go off-piste to follow your very own trail away from the security of the ski resort (always at your own risk). What makes KitzSki so special? Endless. Varied. Spectacular. This is the only way to describe the slopes in the world famous Kitzbühel ski area – the best there are. Give the gift of unparalleled skiing pleasure with numerous opportunities for everyone who loves winter sports.